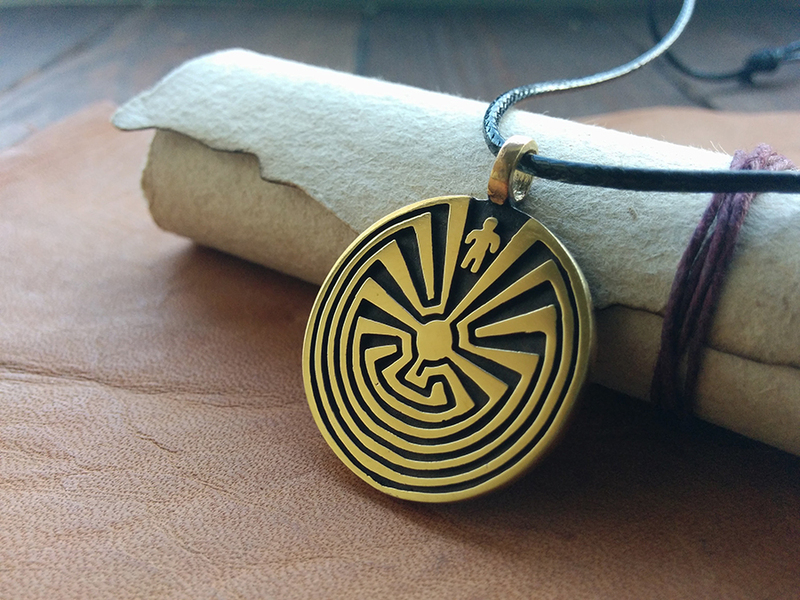 The Man in the Maze life symbol depicts the path of life and all that it entails such as happiness, sadness, successes etc. 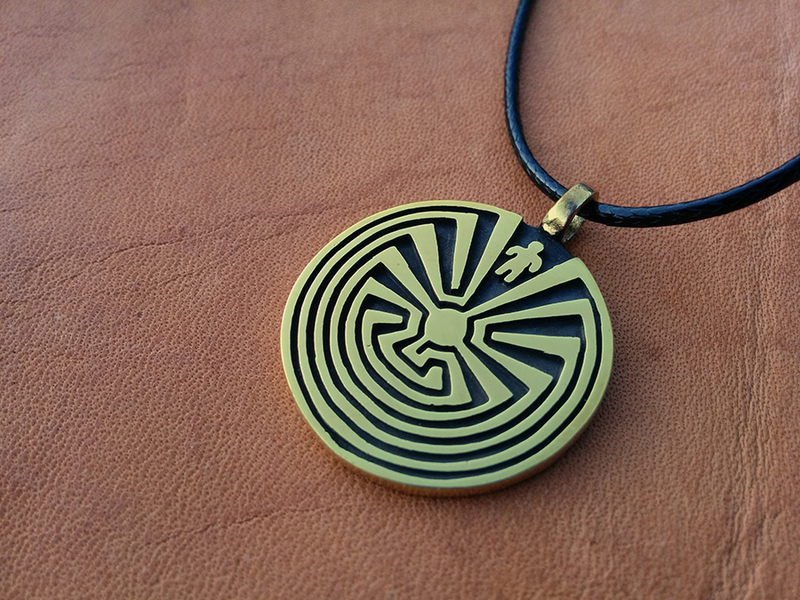 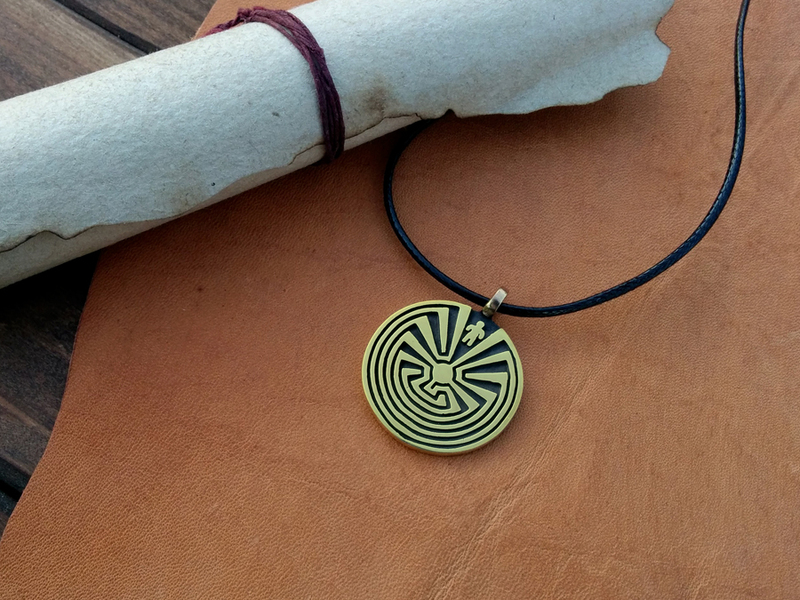 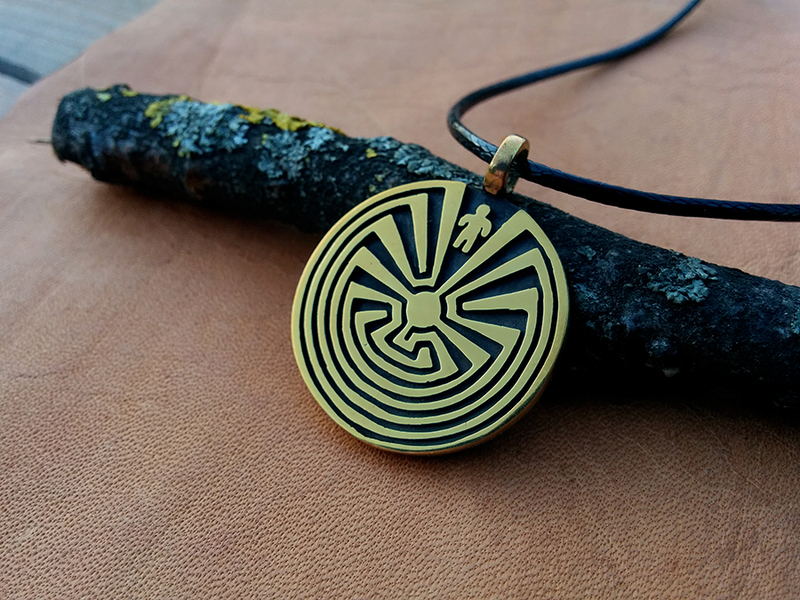 The Man in the Maze design symbolizes experiences and choices we make in our journey through life. 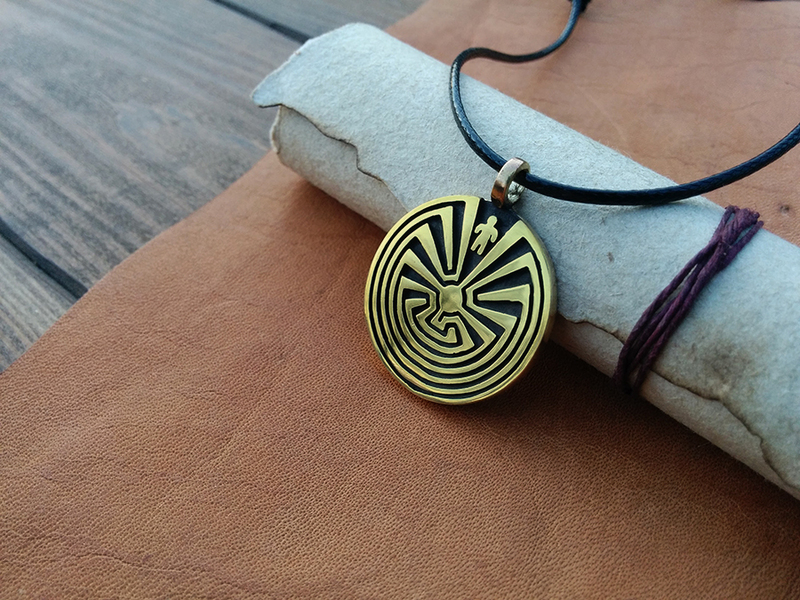 The center of the symbol is your goal in life. 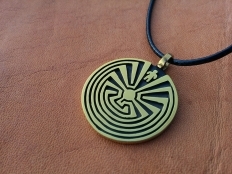 There is a dream at the center and you reach the dream when you get to the middle of the maze.